Unfortunately, due to the fact that we live in the United Kingdom, we must constantly take the weather into consideration for everything. Rainfall can interrupt plans such as days out, hanging washing on the line, that long awaited BBQ and consumption of vitamin D.
What it shouldn’t interrupt is the longevity of your driveway. Nowadays, a resin bound driveway is installed in such a way that even heavy downpour won’t have any negative impacts on how your path appears and functions. However, here are some tips to make sure your driveway’s drainage remains in tip-top shape. Because resin bound driveways are permeable, rain water can just drain through the surface. This reduces the build-up of puddles and in extreme temperatures, ice. However, should the surface become blocked, the driveway’s drainage ability diminishes. With this in mind, keeping your driveway clean is essential to how it performs during rainfall. Luckily, because of the resin bound surface, maintenance is kept to a minimum. During autumn, just make sure that leaves are not allowed to settle too long on your driveway, as these obstruct the drainage of water. A stiff bristled brush and a good tune to whistle to will have leaves off your driveway in no time. The same applies to any moss, weeds or dirt that collects over time. Removing these potential pesky blockages will ensure your driveway not only remains clean and attractive, but it can also drain rainwater away. If you’ve already decided on a particular material for your driveway, such as concrete, then maybe it’s time for a change of heart. It is ideal that you have a permeable surface for a driveway, because of minimal maintenance post-installation. Not only that, but a resin bound driveway is more environmentally friendly to install. Back in 2007, we experienced an incredible amount of rainfall which resulted in over £3bn of damage, fatalities and devastation. The main culprit of the damage was inadequate drainage in the streets and driveways. That’s one reason why, in 2008, the government altered the legislations on permitted development rights in order to reduce the likelihood of repeated casualties and damage. So, if you hadn’t thought about a resin bound driveway before, you really should now! 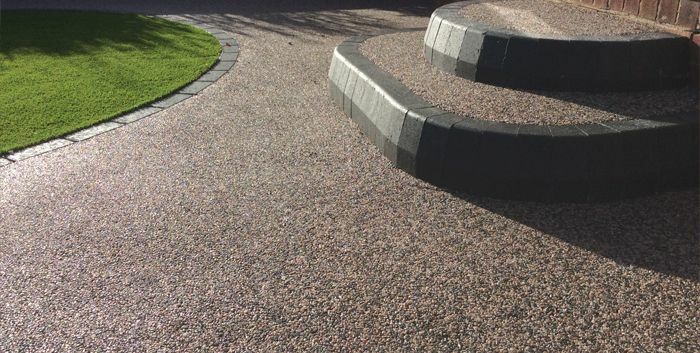 Here at the Yorkshire Resin Company, we are clued up on everything you need to know about a resin bound driveway and resin driveway surfacing. Should you have any questions, we would be more than happy to assist you! Get in touch today!